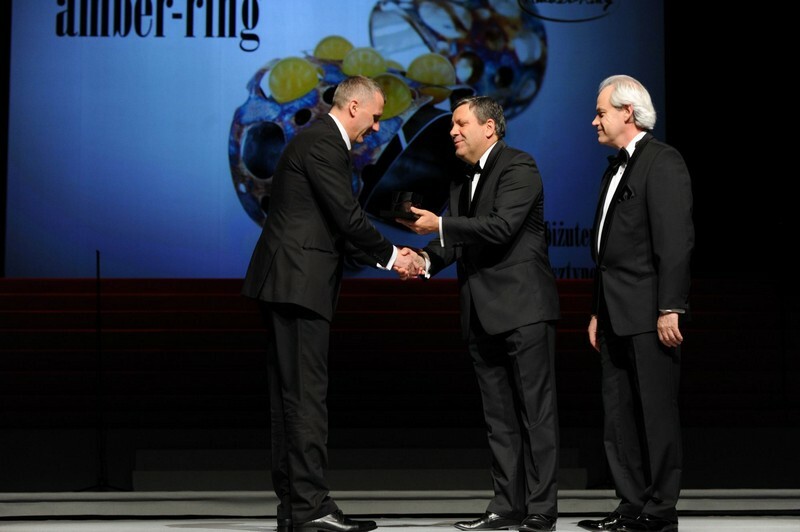 The jewellery comes from the collection that was a part of a BA thesis in the Higher School of Art and Design in Łódź founded in 2009 year. 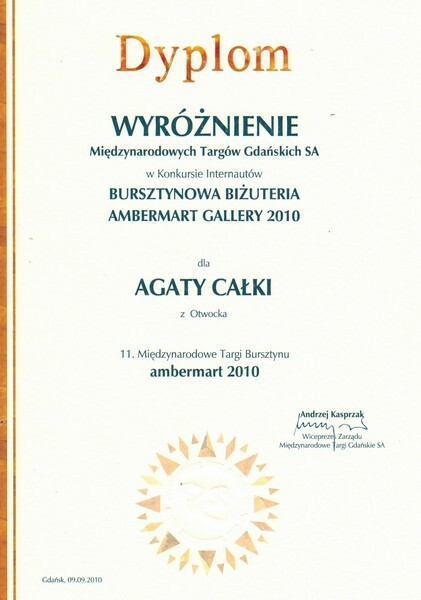 The project was awarded with the first prize in the competition Ambermart Gallery 2009. 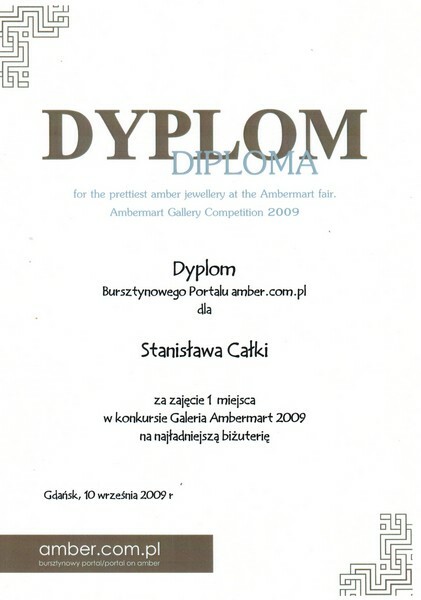 The necklace and the earrings were specially designed for Ambermart Gallery 2008. 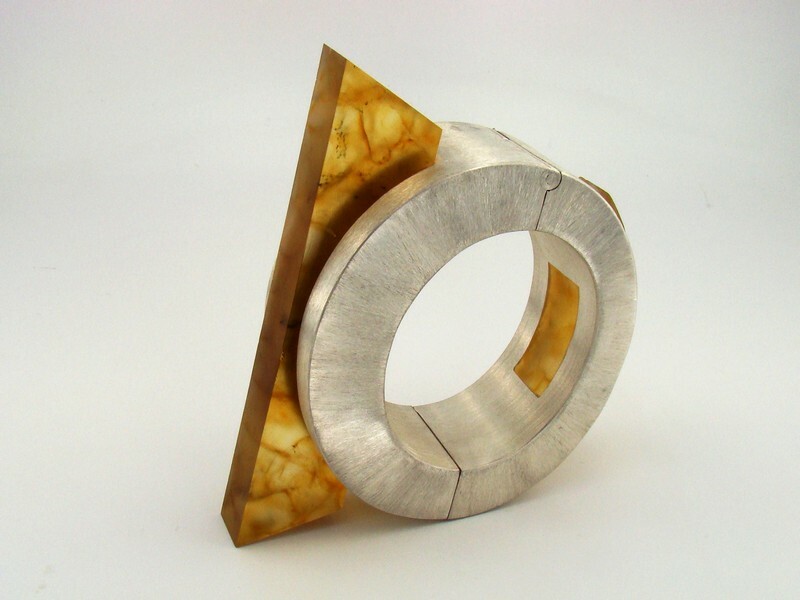 With this design I was looking for a way to express the feelings which, in my opinion, are connected with all the changes in time. I have always associated the passage of time with even and inevitable intervals heading in the same direction. 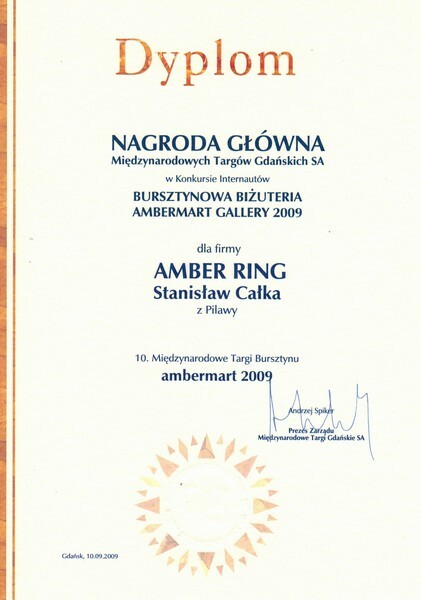 That is why I captured the amber balls in a silver spiral. 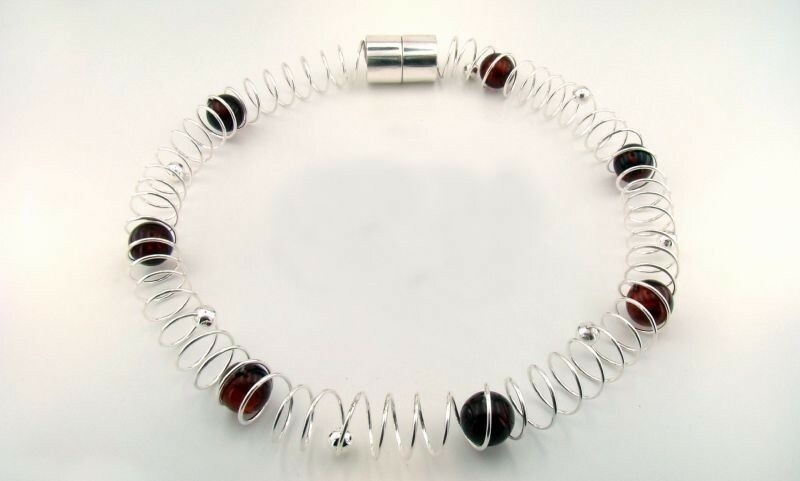 The spring can be stretched and squeezed up a little, time can run for us quickly or slowly, but we are like these amber balls – not able to get out of the inside of the spring. The silver balls scattered over the spiral are an element that emphasises the dynamic, as if they were electrons on the atomic orbits – the most accurate clock all over the world. 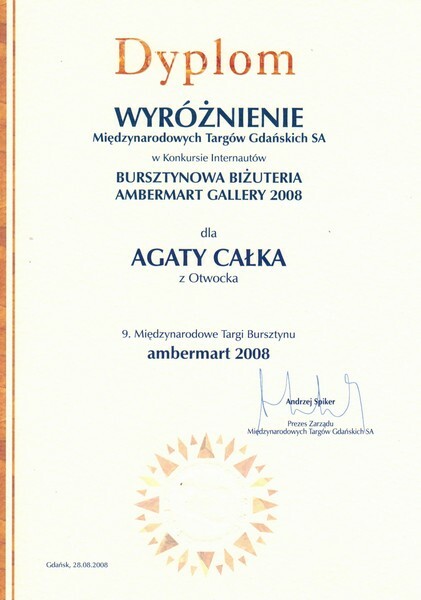 The project was honoured in the competition Ambermart Gallery 2008. According to a tradition of South African tribes, which is thousands of years old, an elephant is seen as an animal with a connection between the sky and the Earth. 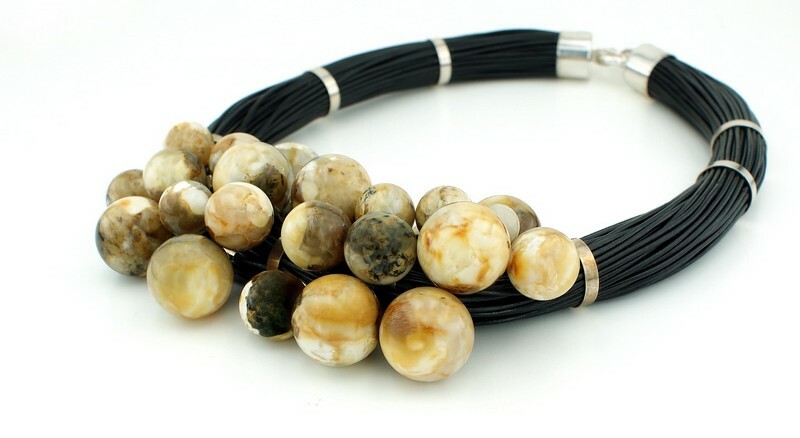 According to African folk beliefs, wearing jewellery, especially bracelets, made from elephant`s hair protects against diseases and ensures good luck. Each of a few hairs, often a dozen or so, rolled around a wrist symbolizes different aspects of life: love, health, harmony, wealth, etc. Knots that connect this fibre symbolise caring hands of a god that keeps guard on human fate. A bunch of black thin thongs or hairy cotton strings indistinguishably reminds one of African craft. The only thing to do is to add some amber elements. 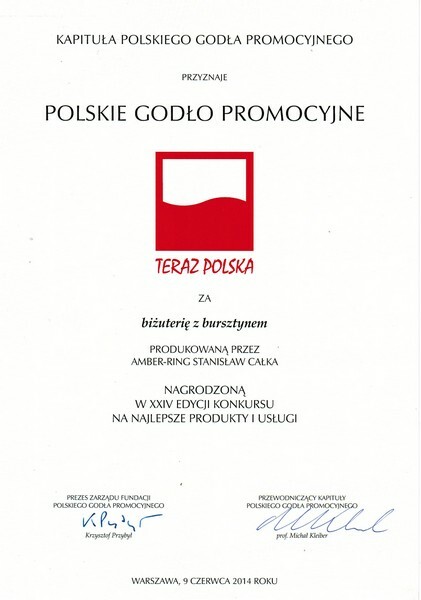 The project was double honoured in the competition Ambermart Gallery 2010.